Many tables are set up as reserved, for the whole table, that is why you can only choose 0 or 9, or 8, or 6, depending on the table size. If unsure, click on one, then go and "View On Map", there you can change, and add your preferred selections. 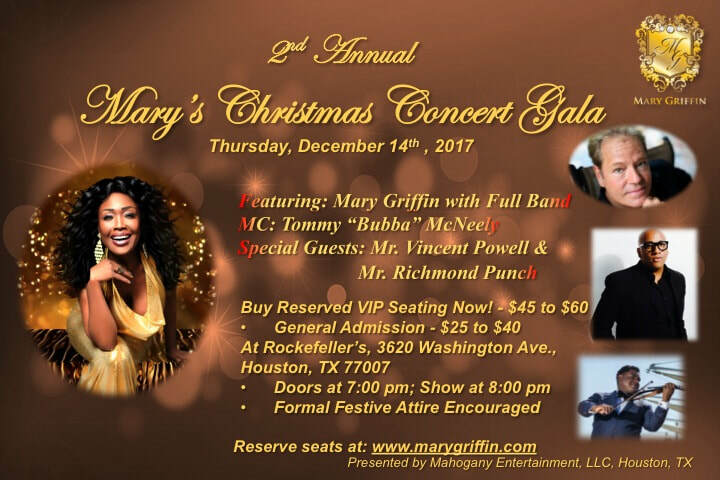 Mary Griffin will be performing her 2nd Annual soulful Christmas concert gala, on December 14th at Rockefeller's in Houston, TX. Doors open at 7:00 pm with the show starting at 8:00 pm and the evening wrapping up by 11:00 pm. As a 30 year entertainment professional with a Grammy nomination and 21 Platinum songs to her credit. Mary's performance includes a full live band to give you a powerful, moving experience. There is really no bad seat in the house, since anyone who has seen Mary perform in the past knows that she gets out into the crowd, up close and personal. 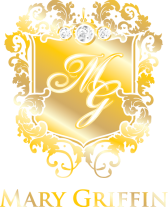 Festive, formal attire is encouraged, to make this a wonderful gala event complete with photo opportunities. Also, champagne, cocktails, wine and beer will be available. Most seats are reserved, starting with 8 person round tables down in front of the stage, with row seating behind the round tables. The balcony seating provides a great view of the show also. Mary has fans around the world from Australia, to Asia, Europe, Russia, Africa, and all points in between. For most who cannot make it to this event, we will have professional videographers onsite and we will be recording the show. Rockefeller's is conveniently located just west of downtown Houston at 3620 Washington Ave., Houston, TX 77007.